An EBF Maiden Stakes (Plus 10) over 7f on good going. Nine two-year-olds take part, three with racecourse experience. The betting suggests this is a four-horse race. John Gosden's Blue On Blue was a short priced on debut - exceptionally. This son of More Than Ready and full-brother to Jeremy Noseda's top filly Nemoralia. Chelmsford isn't the best place for a debutante. A slow start and running on a turn brings a multitude of problems for an inexperienced horse. The form of that race is decent enough and this straight, uphill finish should prove more to this chestnut's liking. William Haggas has been firing in the winners from the start of the season and is no stranger to juveniles going great guns on debut. Elyaasaat is worthy of note being a son of Frankel out of an exceptional mare [Lahudood]. She raced twelve times and concluded her career by winning two Grade 1 races in America picking up £760,000 with total earnings of £864,755. Haggas has a fair win and place rate with debutantes priced 13/2 & less. With the record of Frankel's offspring this formative season, you would be a brave soul to say this bay colt won't hit the headlines. James Tate is a talented trainer and another handler I take note of when his debutantes are fancied in the betting. Founding Father is a son of Sir Percy out of a once-race mare who didn't achieve a great deal. He was a relatively inexpensive breeze-up buy for £40,000 now racing in the familiar silks of Saeed Manana. It was encouraging to see him backed to favouritism on debut at Windsor over 6f. This step up in distance should be within his realm. The form of that first race isn't outstanding but if fancied in the betting I would be hopeful of him hitting the frame. Saeed bin Suroor is a respected trainer and he can send out a debut winner with little fuss. Leshlaa is an Irish-bred son of Street Cry, a homebred, out of a twice-winning mare who raced at handicap class. Conclusion: Unless there is a surprise this looks out of four favourites. Interesting race in ways because a few could be fair sorts. Blue On Blue was a very short price on debut and I suspect much better will be seen on turf. 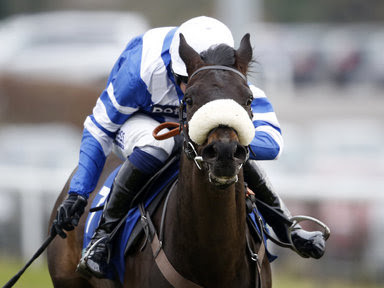 Elyaasaat will need to be primed on debut and any inexperience from the stalls could prove a thorn in the side. Frankel's offspring have been little short of miraculous this season and this horse deserves to be given respect. I often associate Newmarket a starting point for William Haggas' better two-year-olds. If that is the case and this colt is talented then we may see some fireworks on the Rowley Mile. The mare was a class act, too. Founding Father has valuable racecourse experience and will appreciate this step up in distance. The form of his debut is nothing special but I would imagine Tate expects his charge to show more today. Worth an each-way bet if odds allow. Difficult to know what to think about Leshlaa. Saeed bin Suroor is a true talent but the mare wasn't the greatest of thoroughbreds although she was good enough to win. All four have some interest but I would go with Founding Father to hit the frame and hope one or two of these fancies are not quite ready enough to do themselves justice. Sticking my neck out here - so don't chop it off! Looks an open race and I have my eye on a big priced selection. Prost is a son of Tin Man out of an unraced mare. This Irish-bred gelding is owned by Hawkes Anzac Partnership and cost 48,000G when purchased at the yearling sales. Ed Vaughan is a knowledgeable trainer and has a few fair two-year-olds to get a line with this youngster. I have reason to believe this gelding has been showing ability on the gallops and held in some regard. At odds of 40/1, that price catches the eye. Racing in the final weeks of the season may be a sign that he hasn't had things go his way and being sent out for the experience. That is just the gamble you have to take at huge odds. Must be worth a speculative bet at big odds because do you really want to sit and watch a horse win at that price and not have a shilling eachway? If you enjoy this analysis, please share our posts via the buttons below. It literally takes a second of your time but makes a big difference to our website and for my motivation to bother spending the time to give my experience.